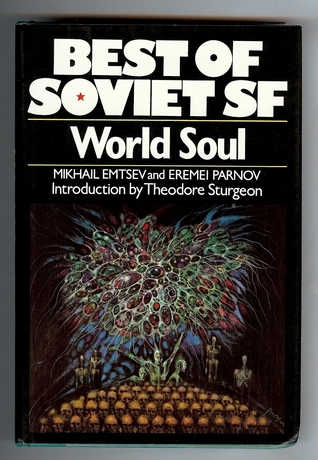 World Soul, an interesting look at the quasi-communist applications of telepathy. Without giving too much of the book away, the premise is that a biotosis (plant thing) is created that allows people intense telepathic communication with each other. Not just of simply reading minds but of actually becoming someone else. This book takes the overused sci-fi concept of telepathy and takes an interesting spin on the subject, with obvious Soviet undertones. This book is a great read for people who enjoy the concept of telepathy but are tired of its overused and cliché execution, along with lovers of 70’s sci-fi. Beware sci-fi readers who are interested in a quick, easy, and fun read, for you will not find it here. This entry was posted in Don't Read This!, Teen Powered and tagged sci fi, science fiction, telepathy, written by teens on November 22, 2014 by Rae. I started reading it because . . . I like steampunk. I kept reading because . . . I like steampunk and it’s a fun anthology. Main character(s): If they were in a yearbook, they would be voted: Not really applicable. However, my favorite character (Adelaide Jones; The Glory Girls) would be voted “Most Likely to be Equated to River Song” (I’ll let you figure that one out). Flash Review: Muchness of good short steampunk stories! This book reminded me of ______ because . . . Steampunk. It is an anthology, after all. There are so many stories I can’t really get more specific than that. This entry was posted in Read This!, Teen Powered and tagged Book Reviews, Book Shorts, fantasy, lean mean teen reviews, sci fi, science fiction, Steampunk, written by teens on August 7, 2012 by Teen Blogger.